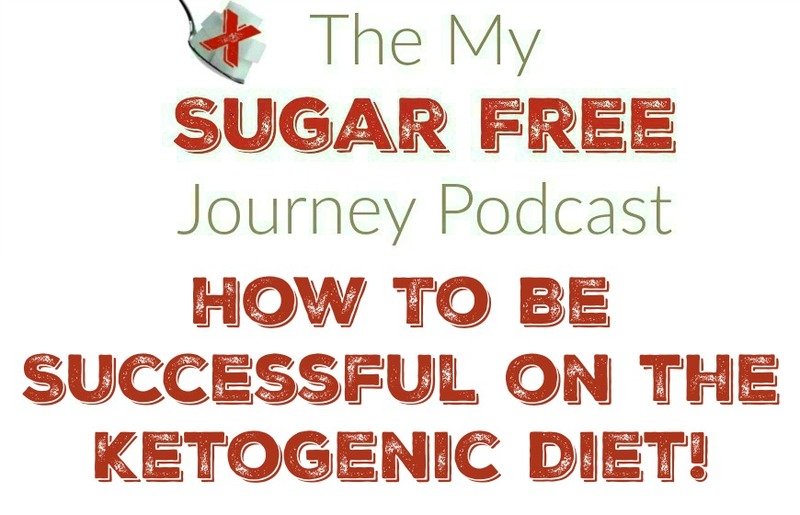 The My Sugar Free Journey Podcast - Episode 39: How to Succeed on the Ketogenic Diet! The My Sugar Free Journey Podcast – Episode 39: How to Succeed on the Ketogenic Diet! In this week’s episode of The My Sugar Free Journey Podcast, I explain where I’ve been for the last 3 weeks! After my father passed away a few months ago, I became determined to figure out a way to help people succeed on the Ketogenic diet in order to lose weight, lower their blood pressure, end their Type 2 Diabetes or Metabolic Syndrome, and enjoy all the other benefits that come from a ketogenic diet. After talking to you listeners and the other readers of the blog, I focused on 3 areas where people needed help and created something that would help in each of the 3 areas. Click here to sign up! Learning what the ketogenic diet is and how to do it is an important part of being successful on the diet. I taught several iterations of our 28 day challenge classes over the last few years and knew they would be helpful. Starting June 1st, I will be teaching the 28 Day Ketogenic Classes every month so you will have constant access to the best training to keep you informed and inspired. The classes are live every night at 8 PM CST and can the recordings can be watched at your leisure. I have created the 28 Day Ketogenic Training and Meal Plan Facebook group so you could join a community of people who are on the same journey as you. You can ask questions, get encouragement and, probably most importantly, not feel like you are going at this alone. You want to be surrounded by people who know what it feels like to give up sugar and start eating LCHF that you can talk to whenever you want. Every Thursday, I will email you a Ketogenic Meal Plan for the week. Each meal plan includes 5 dinners, 1 breakfast, 1 soup or salad, and 1 dessert. (Yes, you can have ketogenic desserts!) The recipes are simple and very tasty. The kinds of things I have been cooking for my family for years. Each plan includes a shopping list do you can see everything you will need to feed your family for the week in one place. You get all of this for the low price of $20 for the first month, which includes the 28 day training course as well and the Facebook community and weekly ketogenic meal plans, and the $15 a month ongoing for continued access to the Facebook community and meal plans. To sign up, just click here and scroll down to the big button at the bottom. Can’t wait to see you all there! PREVIOUS POST Previous post: The My Sugar Free Journey Podcast – Episode 38: Aaron Alexander from Align Therapy!